PACK SIZE: The pack contains 400 gm of powder. 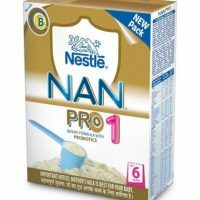 FEATURES: The formula is designed for infants as liquid part of the diet during and after weaning. 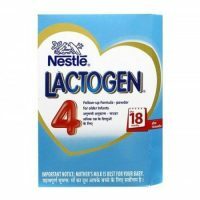 Nestle Lactogen 1 contains maltodextrin which is easy to digest and nutrients that support growth & brain development. 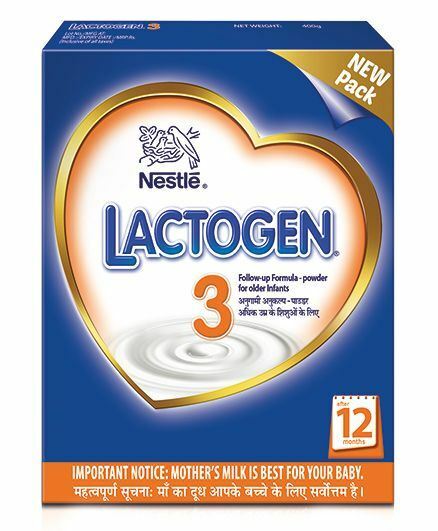 Lactogen 1 has 33% more whey protein than before. Whey is the easily digestible proteins found the easily digestible proteins found in breast milk. The additional whey in improved Lactogen 1 results in better protein quality and helps easy digestion. 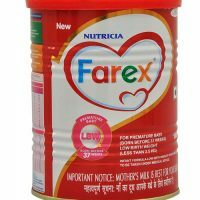 USES: It is a spray dried infant formula for up to12 month’s baby. 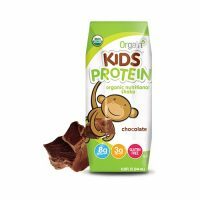 STORAGE INSTRUCTIONS: On opening, transfer the contents of the pack along with the pouch to a clean airtight container. After each use, replace lid tightly and store in a cool, dry place. Wash your hands before preparing baby’s formula. Wash bottle, that stopper and cup thoroughly until no milk remains; boil for five minutes. Leave covered until use. Boil drinking water for five minutes and allow to cool. Consult feeding table, pour exact amount of lukewarm water into the sterilised bottle. Only use the scoop from this container and level using leveller at an opening. Consult feeding table, and an exact number of level scoops for the age of the baby. Close the bottle with stopper. Shake bottle until powder is fully dissolved. Use prepared feed within half an hour of preparation otherwise microbial deterioration may set in. Close the tin tightly after each use and store it in a cool and dry place.